Hangard is a village between Domart and Demuin. The road to Villers-Bretonneux goes due north from the village, up a steep hillside. 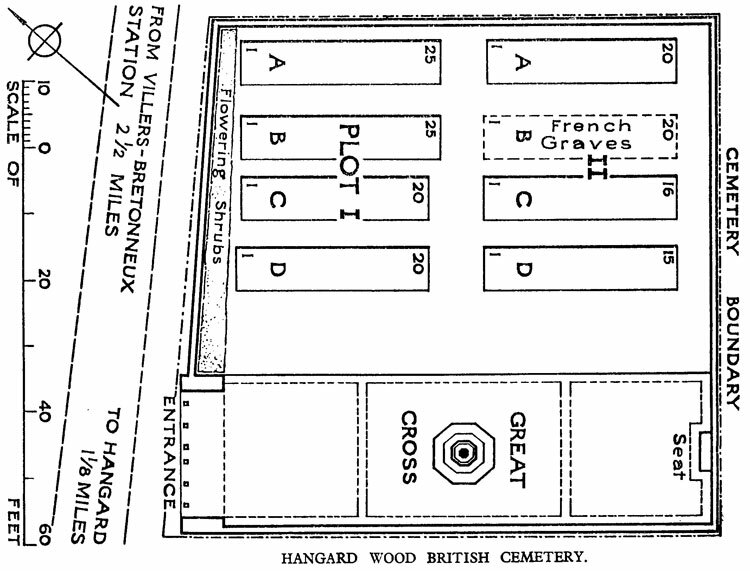 After 2 kilometres it passes between the two portions of Hangard Wood, and Hangard Wood British Cemetery will be found at this point. At the end of March 1918, Hangard was at the junction of the French and Commonwealth forces defending Amiens. Between 4 and 25 April, the village and Hangard Wood were the scene of incessant fighting, in which the line was held and the 18th Division were particularly heavily engaged. In July 1918, the site of the cemetery was in German hands, but it was cleared by the Canadian Corps early on 8 August 1918, and the Corps Burial Officer began this cemetery later in the month. 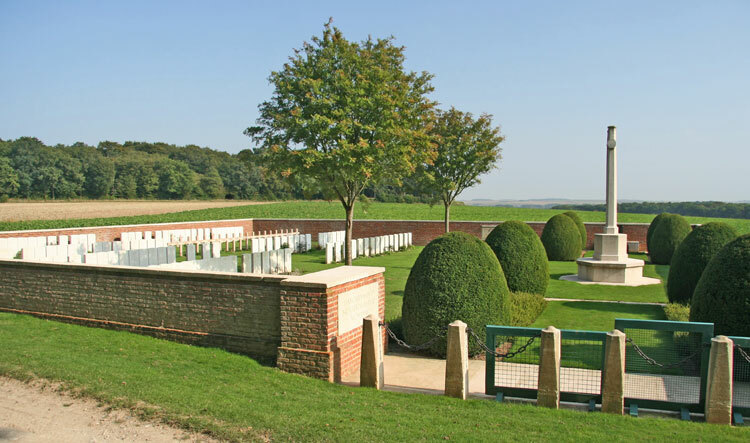 A number of graves of April 1918, as well of those of August, were brought in, and after the Armistice other graves of April 1918, were concentrated from Villers-Bretonneux, and of October 1916, from other parts of the Somme battlefield. The cemetery now contains 141 Commonwealth burials of the First World War, 39 of which are unidentified. There are also 14 French burials in the cemetery.